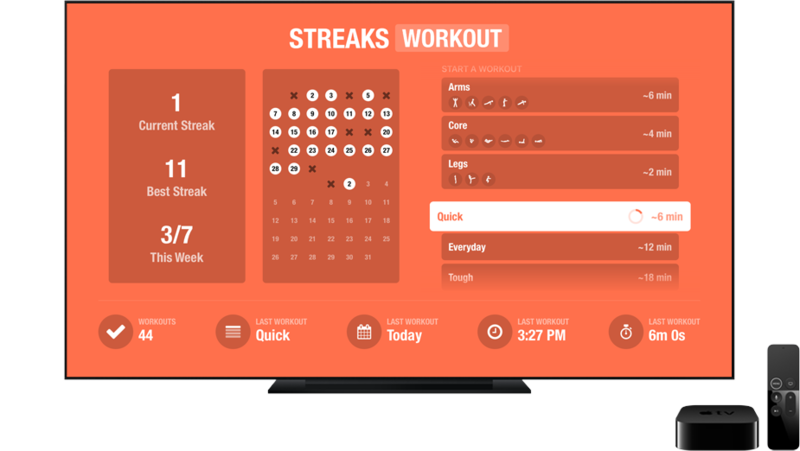 Streaks Workout is the ideal training tool for people of all fitness levels and capabilities. No matter how much time you have spare each day, it will get you into a routine of building your strength and fitness. Available in: English, Arabic, Danish, Dutch, Finnish, French, German, Greek, Indonesian, Italian, Japanese, Korean, Malay, Norwegian Bokmål, Portuguese, Russian, Simplified Chinese, Spanish, Swedish, Thai, Traditional Chinese, Turkish, Vietnamese. 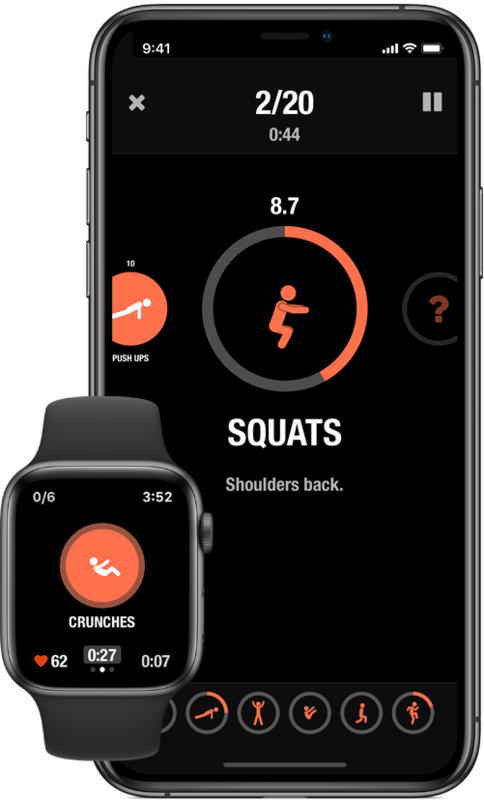 Available for iPhone, Apple Watch, iPad and Apple TV. Exercise at home, in the park, at the gym, anywhere! Choose from a range of equipment-free exercises to work your core, arms, legs, back and chest. 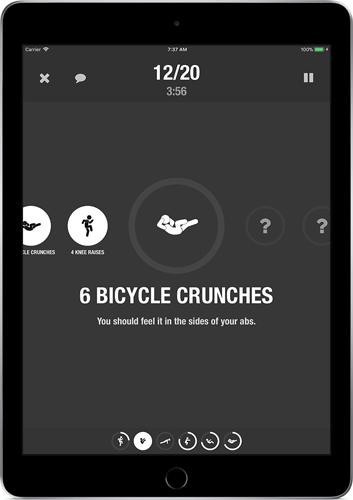 You can customize which exercises you want to do, making it great for all ages and abilities. Your goal is to complete a workout every day, with different options available based on your ability and how much time you have. No more excuses: this is the workout you won't dread! 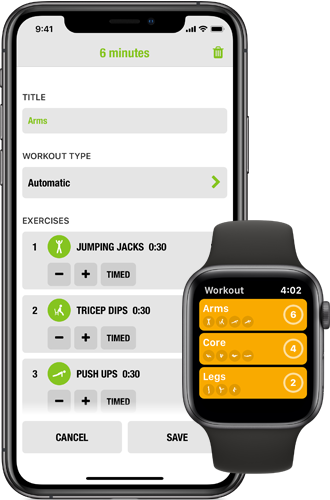 View your workout statistics and track your results easily so you can keep motivated and lead a healthy lifestyle. You don't need any equipment - you just need a few minutes and a floor. On your Apple TV, search for “Streaks”. STREAKS WORKOUT. Copyright 2017 Crunchy Bagel Pty Ltd. All rights reserved.